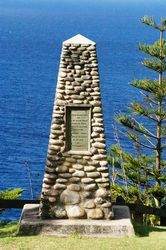 The monument commemorates the landing and discovery and naming of Norfolk Island by Captain James Cook in 1774. 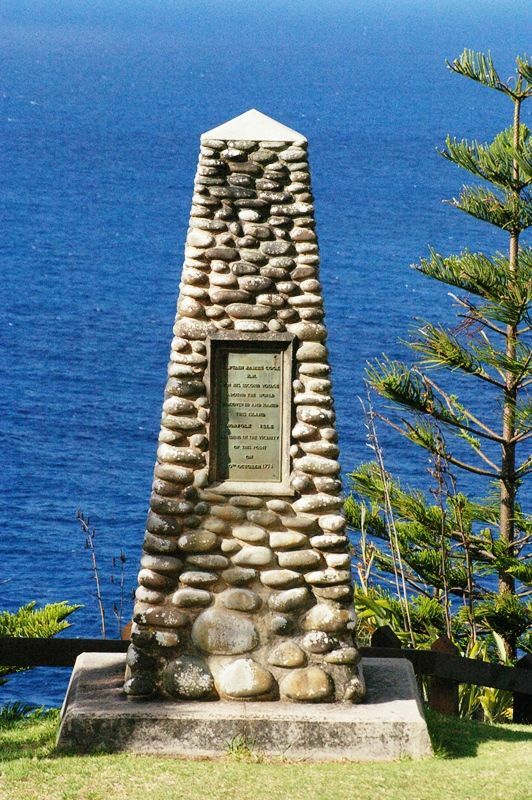 The Minister for Territories, Mr. Hasluck, announced yesterday that arrangements had been completed and a design approved for an obelisk to be erected at Norfolk Island to commemorate the discovery and naming of the island by Captain James Cook, R,N. on October 10, 1774, during the course of his second voyage to the Pacific. 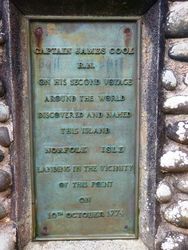 The memorial will be erected on the spot where Captain Cook landed at Duncombe Bay. 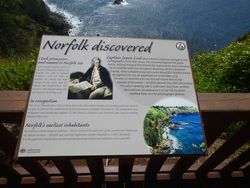 A memorial to Captain Cook, the discoverer of Norfolk Island, will be unveiled at Duncombe Bay, Norfolk Island, by Mrs. J. D. Mc Comish, on July 10. Mrs. McComish is the widow of Captain McComish, whose researches revealed the spot at which Cook landed. The memorial is an obelisk cairn of random rubble standing on and capped by cement. 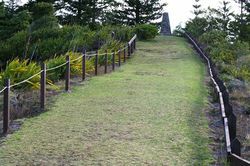 The cairn was erected as a result of public subscription on the island, supplemented by the Royal Australian Historical Society and by the Australian Government.